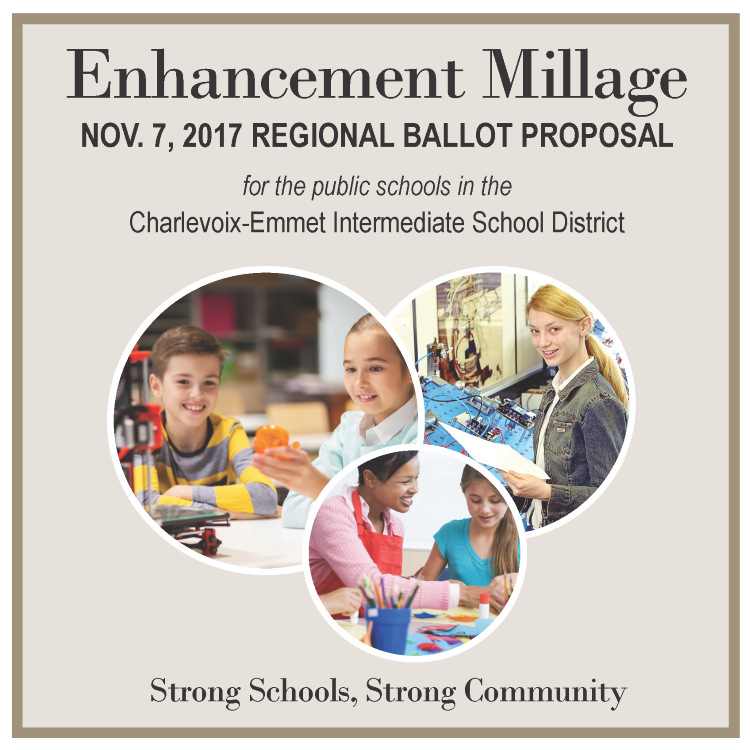 On Nov. 7, 2017, voters in each of the 11 Charlevoix-Emmet ISD public school districts will be asked to consider an Enhancement Millage proposal of 1.0 mill for 10 years. If approved, each of the 11 school districts in the Char-Em ISD would receive an additional $615 per student for operations, starting with the 2018-19 school year. Read more about the Enhancement Millage: Frequently Asked Questions.